SRWare Iron is a version of Chromium, the same source code of Google Chrome, but with emphasis on security issues. In this line, one of the most interesting features is its SRWare Iron incognito mode. If you use it will not leave a trace. 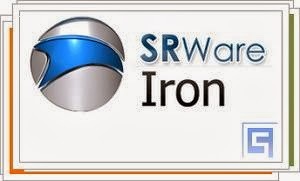 Obviously, SRWare Iron provides the same functions as Google Chrome and also shares its visual appearance. In short, SRWare Iron is a good choice for those who like Google Chrome but want to have a point about safety is concerned.